The Comfort Suites Fultondale I-65 near I-22 hotel in Fultondale, AL will get you rested and ready to go for business or leisure. 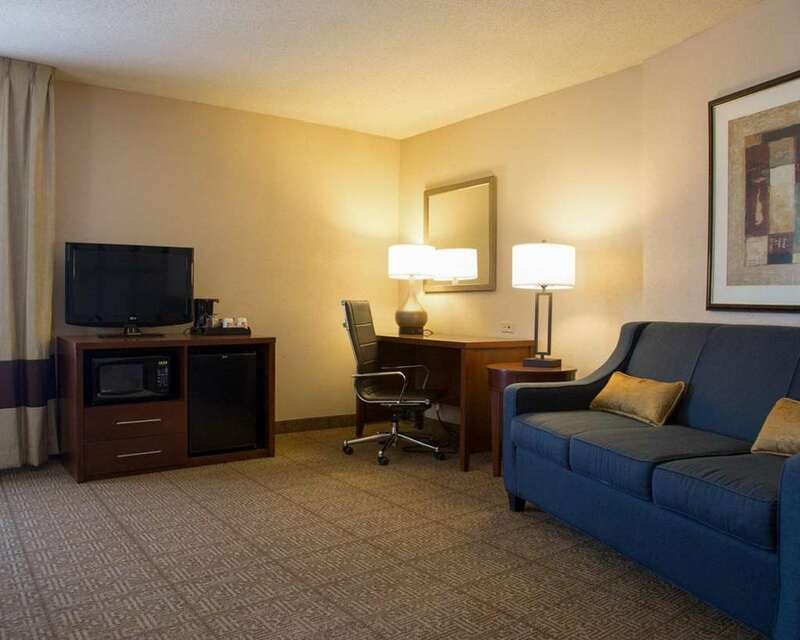 Our all-suites, smoke-free hotel is near University of Alabama at Birmingham, Walker Chapel Plaza Shopping Center and Alabama Jazz Hall of Fame. Enjoy amenities that include free hot breakfast, free WiFi, free weekday newspaper, free coffee, a fitness center, indoor heated pool, guest laundry, valet cleaning and a business center with copy and fax services. Each comfortable guest room features a refrigerator, microwave, TV, hair dryer, coffee maker, recharge device, iron and ironing board. Also, earn rewards including free nights and gift cards with our Choice Privileges Rewards program.